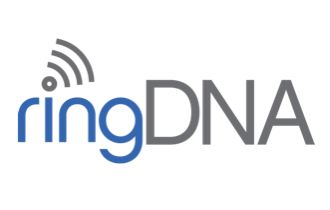 RingDNA is a leading enterprise inside sales acceleration and voice automation platform. Docupace is a leading cloud-based data and document management platform for broker-dealers, RIAs and financial advisors. PeachJar is a digital communications platform between public schools and millions of parents. Ground Truth is a leading provider of mobile advertising and location-based data technology. Polaris Wireless is a global leader in software-based location solutions to wireless operators, law enforcement and government agencies. Peregrine Semiconductor is a global leader of high-performance RF CMOS solutions. Language Weaver is a provider of automatic language translation and natural language processing solutions. Acquired by Weston Presidio: Micropower provides battery systems for the portable medical and handheld computing markets. Omneon is a provider of networked media storage servers. Acquired by Netifice Communications, Inc.
Megapath manages telecom services to SMB and enterprise customers. Acquired by RogueWave Software. Akana offers API Management solutions, available as a SaaS platform, on-premises, and as a hybrid deployment. Apacheta provides cloud-based mobile delivery management solutions for the medical supplies and equipment industry. Zinio is a provider of distribution services for digital magazines.